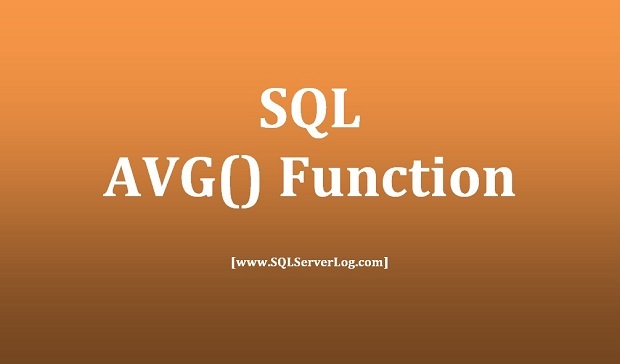 SQL AVG() function returns the average value of a numeric column of a table and it ignores NULL values during calculation. 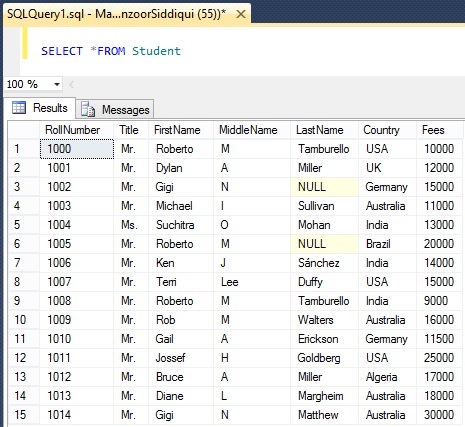 In this article we will consider Student table to check how AVG() function works. 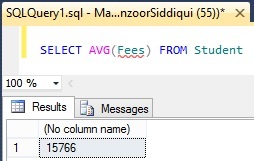 We will calculate average value of Fees column. So, average value of Fees column is 15766. We can also use GROUP BY clause with AVG() function to calculate the average value as follows. 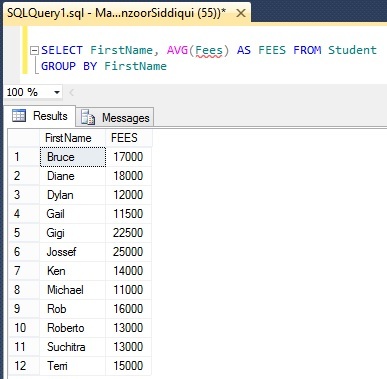 Here we are selecting FirstName column with average value of Fees column by grouping FirstName column. So if you can observe in above output for student Gigi and Roberto their Fees column is calculated on an average basis and returned average fees for each one.